warmth in the belly and the heart. cuisine and culture and all it has to offer in the Bay Area. Amazing! Some of the best food I've had in a long time. We dined with five of us which was ideal so we could order and share a multitude of dishes. Our friends are vegetarian so we went full vegetarian which did not disappoint. The staff was warm, helpful and efficient. Muhammara, a roasted red pepper dip with pita. Also to finish up the meal we tried their arak spirits akin to pastis served over ice with an anise digestive finish. We arrived for the earliest seating, and enjoyed excellent service as well as delicious food. Beautiful location with windows overlooking the estuary. The food was awesome. Loved the seasonal Manoushe and the edges were great to scoop up the eggplant spread. The batata harra were the best fried potatoes I've had in a long time. Service always a bit challenged at Dyafa. But the food is amazing. So we come back over and over! We went with a group of 5 friends. 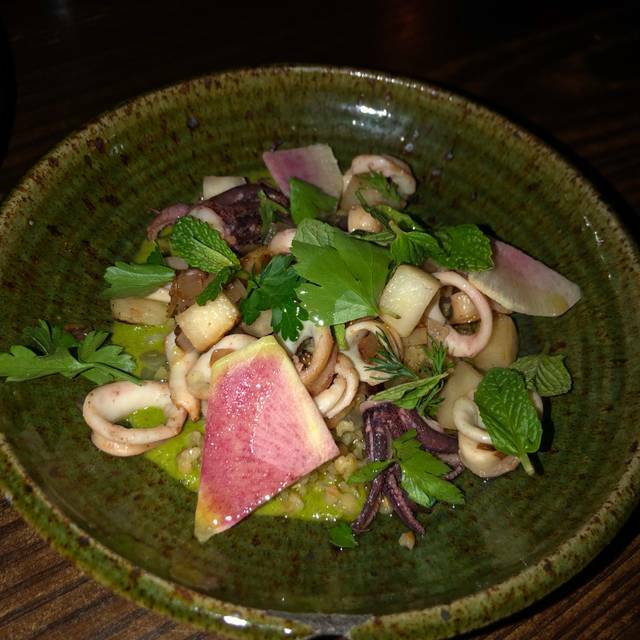 We all found the food to be delicious, interesting flavors, perfectly cooked. Attentive service. Great atmosphere. We’ll be going back. Excellent, flavorful food in an enjoyable setting. 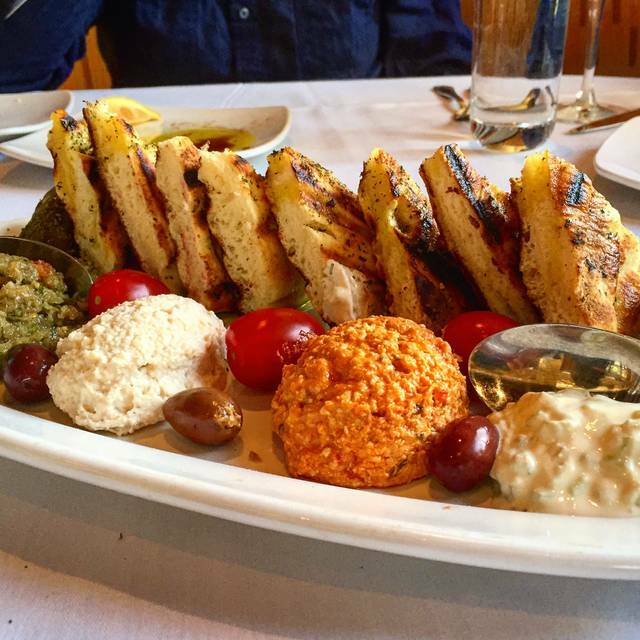 Highly recommend the mezze platter. The food was absolutely delicious. Every dish had a distinctive taste. We particularly liked the shrimp dish and the carrot appetizer. 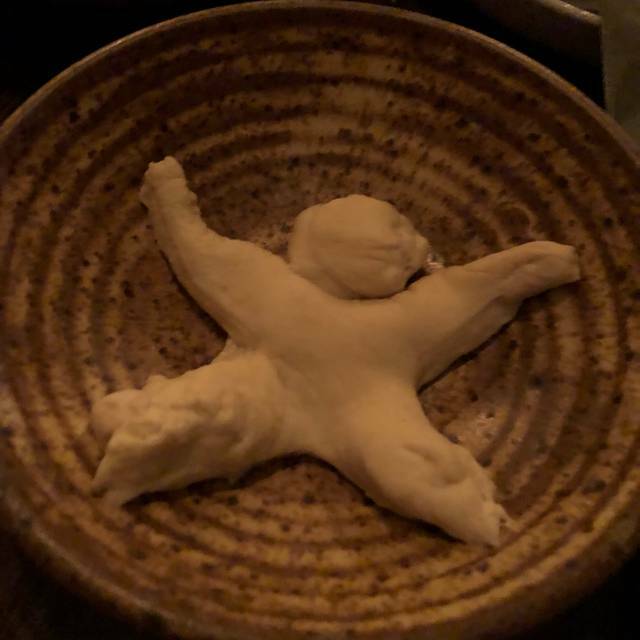 The breads were also outstanding. My only complaint was the noise....too noisy for my taste...but the food was so good I’ll go back. We went for our 2 year dativersary. Had a wonderful experience. Great good, atmosphere, and servers! Very comfortable spacious beautiful restaurant. Easy to converse. Pleasant environment and really good healthy food. We will definitely be back. Everything was delicious and beautiful to look at! Ambiance of the restaurant makes it a pleasure to linger. Waitstaff was friendly and properly attentive. A winner all around. The food is amazing, the servers are great. Wonderful experience. Dyafa is in Jack London square. Its a high-end restaurant serving mediterranean food, emphasis on the Levant (Syria, Lebanon, Palestine). They hav a very strong cocktail program, a handful of local beers on tap, and a limited wine list. The space is tastefully decorated and quite nice. We went on the later side of a Monday and it was fairly quiet despite being pretty full when we sat down. The food very good. We ordered two dips. 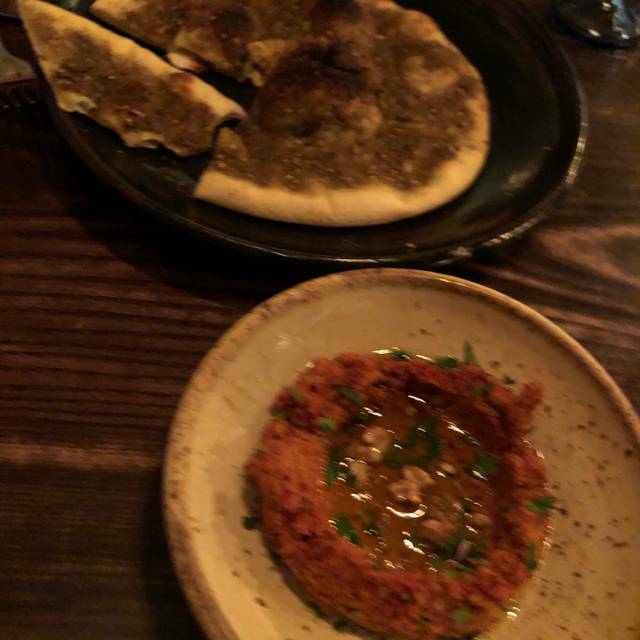 The hummus comes with lamb meat in a pool of fat, resting in the hummus. It was AMAZING. The yoghurt spread is bright and salty, and had perfectly fried brussels sprouts on it. Also very very good. We also ordered a flatbread which was pretty good if a bit bland (perhaps too much spreads and dips, that's on us). Next (or really, all at once, see below), we got the Fattoush. It was a western re-imagining, with big, fresh chunks of greens tossed in a tart dressing. It was good but it needed more spice and/or citrus to give it a bit more zest, I think. Finally, the lamb shank, which seems quite popular. It was falling off the bone, perfectly seasoned, resting on a bed of wheat berries (great choice) and some sort of reduction to bring it all together. Classic "old skool" restaurant meat slab. We had cocktails and a glass of wine each. Cocktails were suberb, lots of exciting but thoughtful flavor combinations, particularly with spices and herbs. Get the cocktails! The server was nice, very professional, and well-informed about the menu with good suggestions, no up-selling. She guided us through ordering and let us do our thang. But my biggest complaint, and the reason I only give service 3 starts, is the pacing of the meal was all off. If you are doing shared plates of all different types this is very important. Within minutes of placing our order, our 2 person table was packed with dips, bread, and salad. All told we were out of there with a full belly and light wallet in about 1 hour, which is too fast. We were a party of 5 at 7 on a Monday. Overall a good experience but I have a few quibbles. It took a long time for our cocktails to arrive. And if you’re encouraged to share a lot of saucey and wet foods why can’t you just keep the pita bread coming? One small pita for 5 people and then it takes forever to get another one. And you have to wait and pay every time you want another little pita! Then we ordered more cocktails and they never came. Anyway. we were 4 in our party. We shared some appetizers Hummus with pieces of lamb two types of flat bread and the Fatush salad. Two of us were familiar with the type of food, but the food here was up several notches beyond what we had before. The main dishes, one of fish and another, vegetarian. was more than enough and for all of us. It was delicious, but there was hardly any room for dessert. We shared one cake. It was a bit too experimental for us with combination of flavors of sweet and sour. Just did not make it for us. Over all a great experience! This is my second time at Dyafa and the service is much improved. The food and drinks were good. We’ll be back. The food is delicious and the drinks are amazing. However, we went for brunch and the brunch menu is very limited. I wish they have a full menu besides the brunch menu. Both foods and drinks are limited during brunch. Simple Arabic food served in a beautiful dining room with a view of the water and boats.We tried several of the small plates: labneh with roasted brussels sprouts (delish! 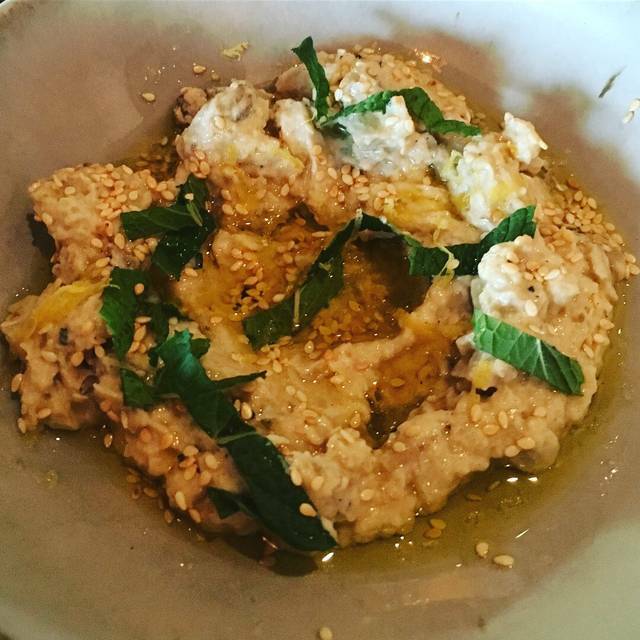 ), hummus with lamb (much too salty), charred eggplant (fine) , dandelion greens (oily) and house made pickles (good). We ordered two of the Samaka Harra large plates (whole fish) and this was delicious. The cocktail menu riffs creatively on Middle Eastern imagery. Given the prices, I expected the servers to be better informed about the food & culture it draws from, and for the service to be seamless. Reem's in Fruitvale serves the same food sans ambiance and the prices are much more reasonable. I left Dyafa overstuffed. Why you ask?? Because the food was so tasty I could not stop eating even though I was getting full. It is like a little Middle Eastern heaven in downtown Oakland. The food was amazing and prepared by Chef Reem herself! Strongly recommended. 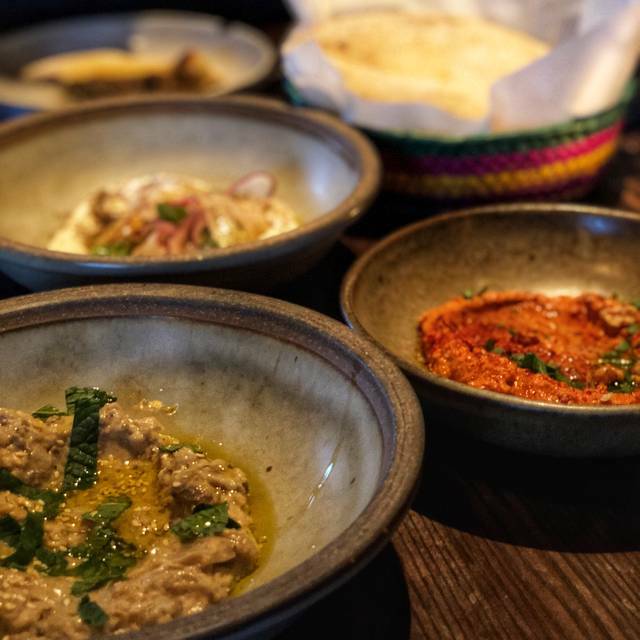 Creative Middle Eastern food and interesting cocktails. Very pleasant and attentive service. Somewhat noisy and not particularly intimate setting. Everything was great! The food was absolutely superb Will definitely return. Beautiful setting and tasty food but The worst service EVER! fattoush salad and shish tawook, chicken in flatbread with garlic aioli, grilled veggies and pickled turnips. The fattoush was bland compared with others we have had and the chicken dish was mostly flatbread with some chicken, a few grilled veggies and a lot of aioli. 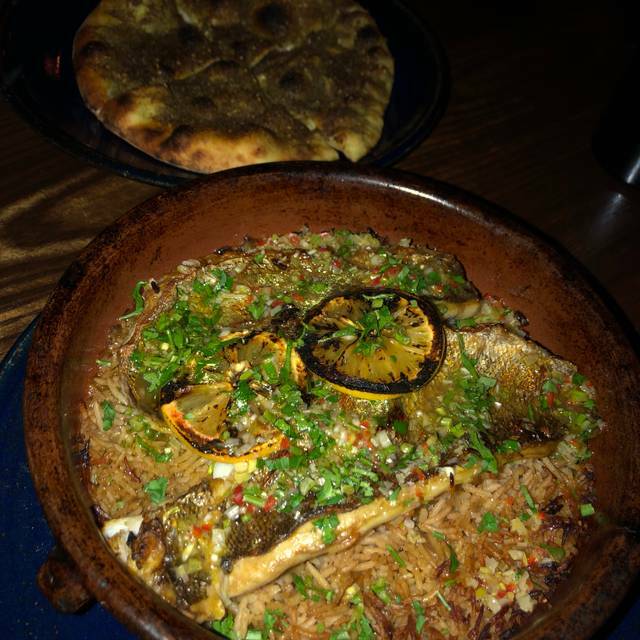 We are willing to try Dyafa again for dinner given the outstanding recommendations from several friends who have similar taste. It can only get better. and new dishes etc. Food is in fact quite interesting and quite good. out on it...to no effect. It was shocking. Fairly ruined the whole evening. We had a party of 4. We got 6 small plates and a lamb shank. The Muhammara was good, not great. Everything else was outstanding. Great food! Lovely place with a nice atmosphere. Food was really delicious and beautifully presented. Service could be better (appetizer arrived late, got wrong order, then correct dish was served after our main course was completed, no one really apologised) and wine serving was very small (especially for $16 per glass). Overall a nice experience and we will go back to Dyafa. The fava salad was so salty that we could not eat it. Food was simply amazing! From vegetarian options to meat options everything came to our table wonderfully presented and delicious. The servers were gracious, professional, and knowledgeable! What a fantastic dinner experience for us! Different and delicious. 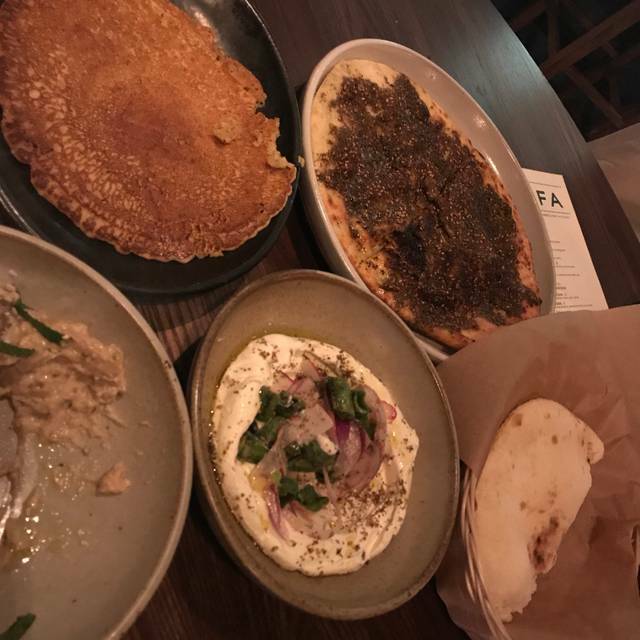 Try the flatbread with zata'ar, the eggplant and tahini thing, the roasted carrots, the chicken...and they make interesting refreshing cocktails. Good interesting wine list. Staff was incredible - it's in Jack London Square and if you're from out of town may be a bit of a challenge to find - and park - but worth it. Yum. The food is very tasty, the space and view lovely, and the service efficient and friendly. The price is a wee bit high, but I have been twice and look forward to returning. More for a special dining with friends than a regular lunch place. in our kitchen at home. Dyafa is one of those amazing places...and was over the top delicious! Knowledgeable, warm, genuine sincere and we let her order for us as well! We're telling all our friends about this jewel of a restauarant! 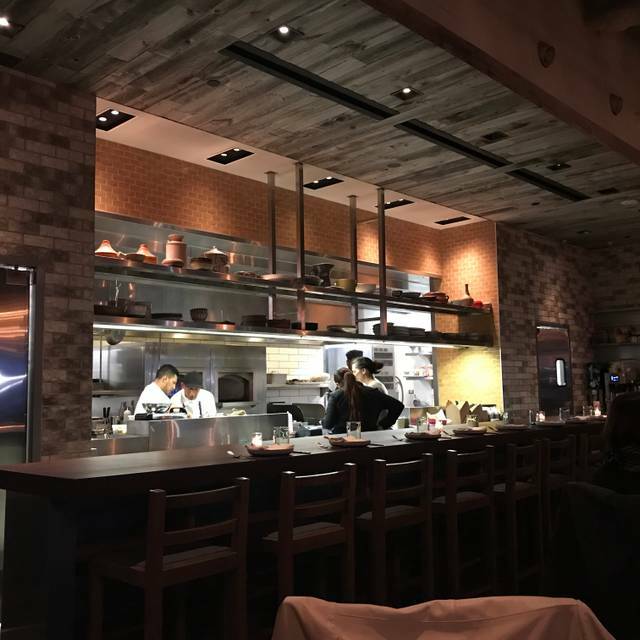 Interesting, flavorful food in a very pleasant space.